Micardis is used to treat high blood pressure (hypertension) and to reduce the risk of myocardial infarction. Micardis is used to treat high blood pressure (hypertension) in patients aged 55 years and older to help lower their risk of having certain cardiovascular problems such as stroke, heart attack, or death. 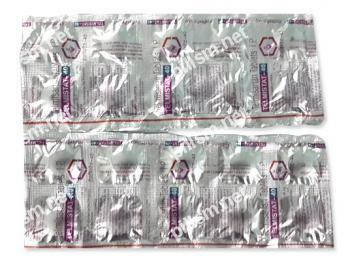 Also it is used to reduce the risk of myocardial infarction. It may be used alone or in combination with other antihypertensive agents. Micardis lowers blood pressure and improves blood flow. The reduced pressure in the arteries also makes it easier for the heart to pump blood. Take Micardis tablets exactly as it is written in prescription of your doctor. Do not change your dose unless your doctor tells you to. Take Micardis one time each day at the same time by mouth with or without food. You will get the most benefit from this medication if you use it regularly. Also dosage must be individualized. The dosage is based on your medical condition and response to therapy. The usual starting dose of Micardis tablets is 40 mg once a day. Blood pressure response is dose-related over the range of 20-80 mg. If you have high blood pressure, it may take 4 weeks before the full benefit of this drug occurs. It is important to continue taking this medication even if you feel well. Most people with high blood pressure do not feel sick. Before you take Micardis, tell your doctor if you have liver, kidney or heart problems or any other medical conditions, high blood levels of potassium, severe dehydration (and loss of electrolytes such as sodium), if you are pregnant or are planning to become pregnant, your medical history. Talk with your doctor about the best way to take Micardis tablets. Tell your doctor about all the medicines you take: prescription and non-prescription medicines, vitamins, and herbal supplements. Tell your doctor or pharmacist if you are allergic to telmisartan; or to ACE inhibitors (e.g., captopril, lisinopril); or if you have any other allergies. Do not drive, use machinery, or do any activity that requires alertness until you are sure you can perform such activities safely because this drug may make you dizzy. Limit alcoholic beverages. You should get up slowly when rising from a seated or lying position. Before having surgery, tell your doctor or dentist that you are taking Micardis . You should not take Micardis if you have liver, kidney or heart desease, high blood levels of potassium, if you are pregnant or are planning to become pregnant. Micardis may cause serious side effects such as injury or death to your unborn baby, low blood pressure (hypotension), swelling of your feet, ankles, face, tongue, throat, or hands, unexplained weight gain, difficulty breathing, sinus pain and congestion (sinusitis), back pain, diarrhea, headache, dizziness, asthenia, coughing, nausea, fatigue, weakness, edema, face edema, lower limb edema, hypersensitivity, erythema, chest pain, atrial fibrillation, congestive heart failure, myocardial infarction, blood pressure increased, hypertension aggravated, hypotension (including postural hypotension), hyperkalemia, syncope, dyspepsia, pain, urinary tract infection, erectile dysfunction, abdominal pain, muscle cramps (including leg cramps). Tell your doctor if you have any side effect that bothers you or that does not go away. Call your doctor for medical advice about side effects. Drug interactions can occur if you take medicines such as diuretics or digoxin with Micardis. Some interactions may significantly increase the drug levels in your blood, while others may decrease your blood pressure too much or cause your body to metabolize the medicines differently than intended. Other medicines that may potentially cause Micardis drug interactions include potassium-sparing diuretics and potassium supplements. You should talk with your pharmacist or healthcare provider about specific drug interactions with Micardis that may apply to you. If you take too much Micardis, call your doctor, or go to the nearest hospital emergency room right away. Store at 25°C (77°F); excursions permitted to 15°-30°C (59°-86°F).